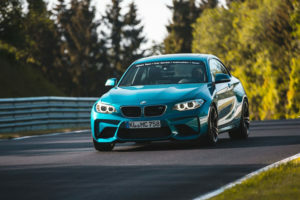 During the public sessions – or “Touristenfahrten” – of the Nürburgring, anybody with a road legal car and a driving license is invited to come and experience the Nordschleife. For your convenience, Apex Nürburg has lap tickets for sale and our rental cars as well as our taxis are operational anytime the track is open! If you have any questions, don’t hesitate to reach out to the Apex team. We will be delighted to help you get on track! You can view our pricing here!